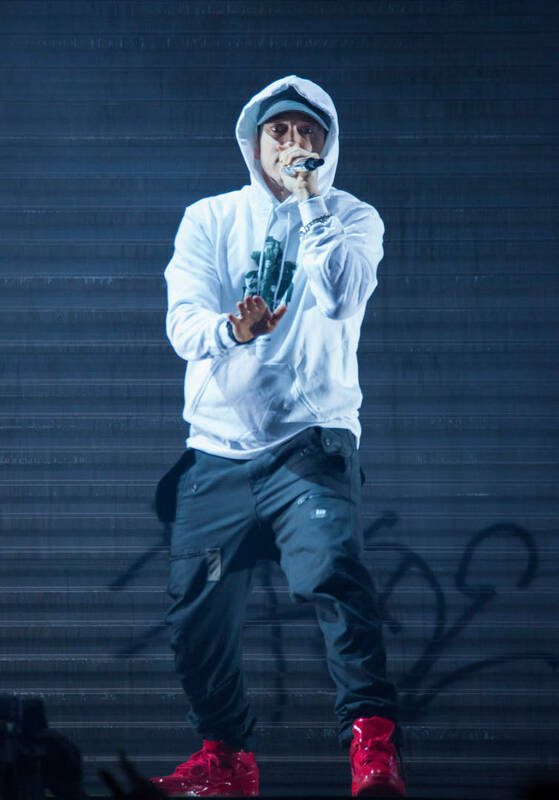 Home>Music> Boogie Jokes With Eminem: "I Wrote The Machine Gun Kelly Diss"
A few months ago, the video for "Rainy Days" was unleashed with Eminem and Boogie tagging together on the Shady Records collab. Em has been overseeing Boogie's career for a few years and finally, the Compton emcee dropped his album this year, making his case as one of the strongest new artists in the game. In an effort to show some extra personality to the fans, Boogie and Em had cameras film them behind-the-scenes while they shot "Rainy Days" and some hilarious moments ensued. The two are fiercely competitive, joking that the song wouldn't be anywhere without their inclusion. Eminem asks listeners to skip ahead to his verse while Boogie ignores the legend altogether, forgetting that he was even on the song. After some friendly banter, Em finally agrees to take a step down from his pedestal, co-signing Boogie. "He's the GOAT, I'm the sheep," says the Detroit spitter. Near the end of the BTS clip, Eminem jokes that he wrote every single lyric on Everything's For Sale, admitting, "I am Boogie's ghostwriter." Right after Em backpedals and says that he only wrote the songs that you actually like on the album, Boogie drops a bombshell. "I wrote the Machine Gun Kelly diss," he says, leaving Marshall dumbfounded. Watch the video below and chime in in the comments. MUSIC Boogie Jokes With Eminem: "I Wrote The Machine Gun Kelly Diss"